Most people don’t think much about their lowly feet. That is, until there’s a problem with them. And for a person with diabetes, foot problems can quickly become serious. By restricting blood flow, diabetes can cause a loss of feeling in the feet, and without sensation, it may be difficult to detect a cut or infection. The risk for foot problems increases as your child ages. In the worst-case scenario, a serious infection can lead to amputation. Consequently, it is important to teach your child proper foot care now to ensure their health through adulthood. 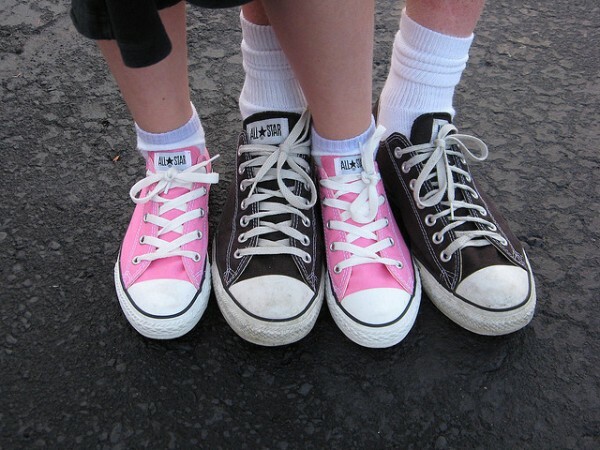 Wear well-fitting shoes that cover and protect feet at school, home and outdoors (including the beach). Never go barefoot. Trim toenails straight across and file as needed. Prevent ingrown nails by not cutting them too short. Wash feet daily (and whenever needed) and dry thoroughly without rubbing. Wear soft cotton, synthetic-blend or wool socks – without holes. Apply an alcohol-free lotion to the tops and bottoms of the feet (but not between the toes). Inspect feet daily for cuts, blisters, bruises or swelling. Do not self-treat corns, calluses or warts. Remove shoes and socks at each healthcare visit so that the doctor can inspect the feet. Never place feet in hot water. Check the inside of footwear for objects before wearing them. Wear footwear in public showers to avoid funguses and plantar warts. Your child’s feet deserve proper care – especially when diabetes is present. The average person takes 8,000 to 10,000 steps a day, which totals up to 115,000 miles during a lifetime. That’s equivalent to more than 4 times the circumference of the earth. So … treat your feet and your children’s feet well!